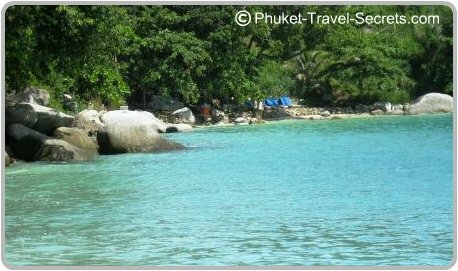 Paradise Beach is a beautiful little beach, located in the same headland as Tri Tra Beach; just 10 kilometres south of Patong. The area around the beach has changed dramatically over the last few years, don't get me wrong the beach is still lovely and a great spot to relax and enjoy a range of activities, however it is now home to the Paradise Beach Club.. but more on that later. 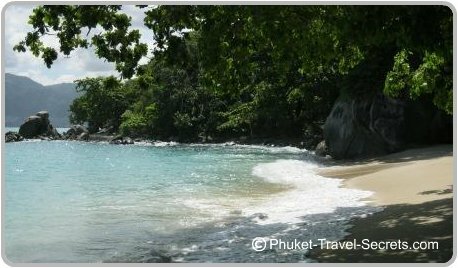 Paradise beach is one of the cleanest and well maintained beaches we have seen in Phuket. The water is clear and the best thing of all is that there is no jet skis or beach hawkers allowed on the beach. Paradise beach would be around 90 metres in length, set in a sheltered bay fringed with lush green forests and palm trees. There is another smaller beach just to the south of Paradise Beach which has now been named as Chilli Beach, you can access Chilli beach by following the path through the rocks. The north facing beach offers safe swimming pretty much all year round, however the best time for swimming and snorkeling is on high tide, when the tide is low there is not enough water to swim. Since the opening of the beach club there is life guards on duty to patrol the beach. As this beach is now part of a beach club, you cannot bring your own food or drinks to the beach, there is security that will check your bags..
To access this small yet secluded beach you will have to pay an entry fee of 200 baht per person. The fee includes the use of a free shuttle from Patong, toilets, showers and parking. Entry is free for children under the age of 10. Sunbeds can be hired for the day from 100 baht for a basic sunchair or 300 Baht for a sunbed, towel & umbrella. If you want to splash out you can go big; there are sunbeds big enough for 2 people for 500 Baht or an extra large sunbed big enough for 4 people which includes two umbrellas and towels for 1,000 Baht. If you don't want to spend extra money to rent a sunbed or chair just spread your towel on the sand. Talking of towels, if you happen to forget to bring a towel, you can rent one for 100 Baht. There is an onsite restaurant and 3 beach bars, you can dine in at the restaurant or you can order drinks and food to your sunbed. Paradise beach is fully equipped for activities, on high tide the beach is perfect for snorkeling, with plenty of fish around the reef. The reef is about 100 metres off shore, although you won't have to go that far to see lots of fish or coral. Some activities are included in the entry fee such as table tennis, badminton, beach volleyball and soccer. Other activities that are available include kayaking, stand-up paddle boarding and scuba diving.. All the equipment for these activities are available for rent from the activities centre, which is located on the beach. The rental prices are listed below. 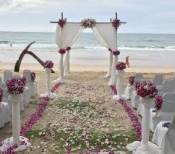 At the time of writing all the rental equipment will require a 500 Baht deposit or some other form of identification. If a relaxing massage is what your craving on Paradise beach the price for a I hour massage starts from 500 Baht. In the middle of the beach there is a rope which is attached to an overhanging tree branch, great fun for the kids to have a swing before dropping into the water. Paradise beach is open from 9.00am until 6.00pm for swimming and beach activities. There are no hotels or resorts situated directly on Paradise Beach. If you would like to stay in the area there is a fantastic choice of hotels and resorts no more then five minutes away. 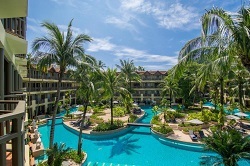 The Marriott is located on Tri Trang Beach. Tri Trang Beach Resort is one of our favourite beachfront resorts and is ideal spot for a relaxing getaway. 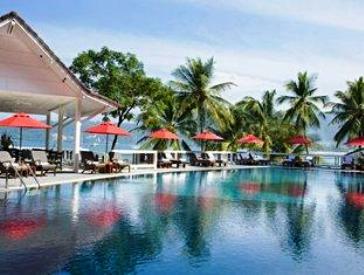 This resort is situated on the beautiful Tri Tra beach with stunning views across Patong Bay. Read more. 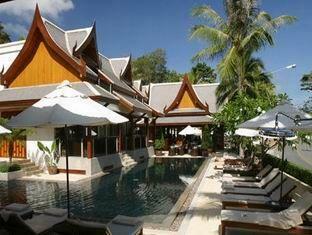 Baan Yin Dee Boutique Resort is located on the hillside with views overlooking Patong Bay. 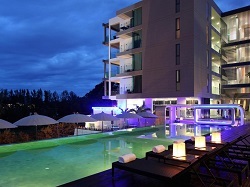 Amari Phuket is set in the perfect location at the far southern end of Patong. Absolute Twin Sands Resort is relatively new with modern and spacious rooms. 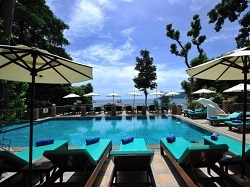 To view other hotels in Phuket just click on search in the box below. There is a free shuttle bus service from Patong to Paradise Beach and vice-versa daily from 9.00am. 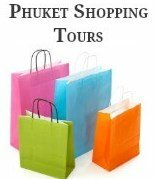 The shuttle bus departs every 30 to 45 minutes from a few locations in Patong, including the police box in front of Bangla Road, Jungceylon shopping mall and the Hard Rock Café. Or you can drive yourself, as there is onsite parking available. We decided to hire a motorbike and enjoyed the scenic ride from Patong, stopping along the way at different locations to take in the beautiful views around the southern headland. From Patong Beach, head south driving up the ramp at the southern end of the Beach Road. Follow the road past the Amari Coral Beach Resort, then continue past the turn off to Tri Trang Beach Resort and the Merlin Beach Resort, keep following the road, which in parts is steep and not very wide. Follow this road until you get to the carpark. 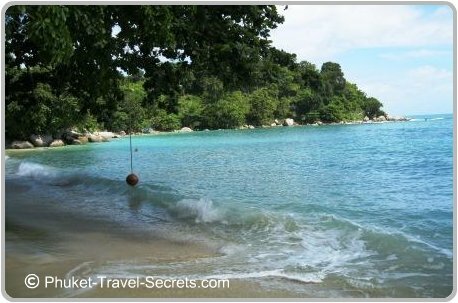 To see more of this beautiful secluded beach check out our short video of our time at Paradise beach.